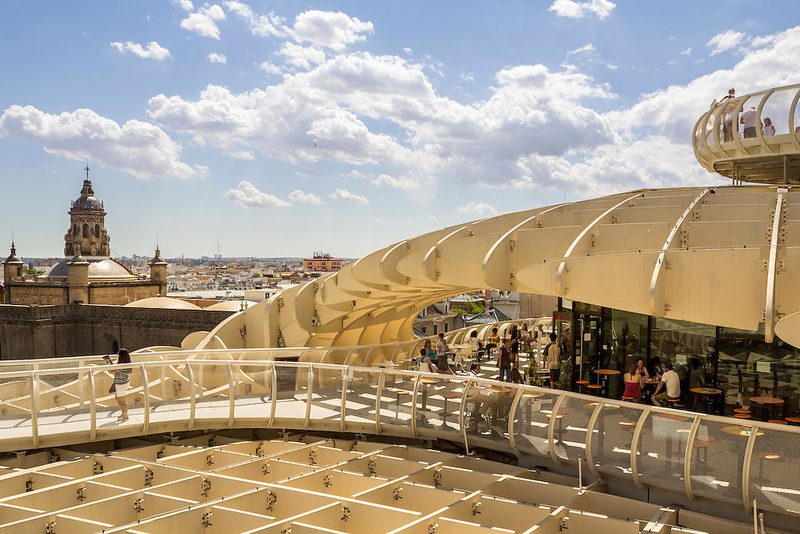 Panoramic view in the top of Metropol Parasol in Plaza de la Encarnacion on 31 of May 2014 in Sevilla,Spain. SEVILLE, SPAIN - MAY 2014: Panoramic view in the top of Metropol Parasol in Plaza de la Encarnacion on 31 of May 2014 in Sevilla,Spain. A new Seville Market Hall and attractive destination.